Paperback, 6 x 9.5 in. / 56 pgs / 27 color. Edited by Leonhard Emmerling. Text by Jennifer Gross, Seymour H. Knox Jr. 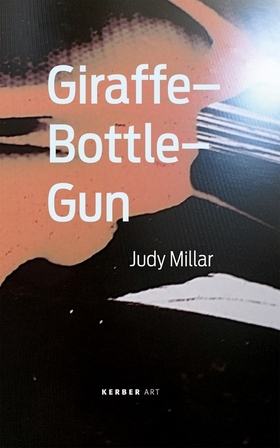 The work of New Zealand artist Judy Millar was perfectly suited to Daniel Birnbaum's theme for the 53rd Venice Biennale, “making worlds”; for her painted and sculpted installation Giraffe Bottle Gun, Millar occupied La Maddalena, a circular church in Cannaregio, placing canvases throughout it. This catalogue documents the tensions in Millar's work between interiority and exteriority, large and small, the handmade and the digitally reproduced. FORMAT: Pbk, 6 x 9.5 in. / 56 pgs / 27 color.